“When Jesus promised His disciples “ ‘I will come again,’ ’’(John 14:3) He created a hope that has burned in the hearts of nearly all Christians for two thousand years. And seldom since the first century A.D. has this hope burned more brightly in the hearts of more Christians than it does today. This hope is darkened, however, by one shadow. According to the Bible, a terrible time of trouble—often spoken of as the “tribulation”—will take place on earth just before Christ’s second coming. For nearly eighteen hundred years, Christians believed that all of God’s people would pass through this tribulation. However, about two hundred years ago a new theory was proposed—that God will take true Christians out of the world and transport them to heaven prior to the tribulation. Those left behind will pass through the tribulation, during which millions of Jews will be converted to Christianity. The second coming of Christ will take place after the tribulation. 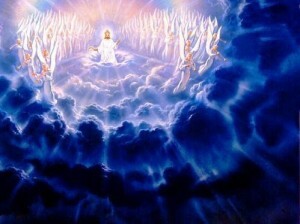 The carrying away of the saints to heaven prior to the tribulation is called the “rapture”. According to those who hold this view, the rapture will be secret in the sense that no one will know when it will occur, and those who are left behind on earth will only know that it has occurred when they realize that many people have suddenly disappeared for no good reason. A number of books and films like “Left Behind” portray cars and airplanes crashing because their drivers and pilots were “raptured.” They picture startled people wondering what happened to their friends and loved ones. In a sense, this view of the end of the world could be called a dual second-coming theory, because it splits Christ’s return to our planet into two parts—the rapture prior to the tribulation and the Second Coming at its conclusion. A careful study of the Bible suggests at least four major reasons for rejecting a two-stage second coming of Christ. 1. The vocabulary of the Second Advent offers no support for such a view. Pretribulationist claim that when Paul wrote 1 Thessalonians 4:15, he used the word parousia, “coming,” to describe the secret rapture. But in 1 Thessalonians 3:13, he used the same word to describe “the second coming of our Lord Jesus with all His saints” (NKJV)- a description, according to pretribulationist, of the second phase of Christ’s return. Again in 2 Thessalonians 2:8, Paul employed the term parousia to refer to the coming of Christ that will cause the destruction of the antichrist—an event that, according to pretribulationist, is supposed to happen during the second phase of Christ’s coming. (Matt 24: 27, 38, 39) Similarly, the words apokalypsis, “revelation,” and epiphaneia, “appearing,” are used to describe both what pretribulationsi call the rapture (1 Cor 1:7; 1Tim 6:14) and what they call the return or second phase of Christ’s coming. (2 Thes 1:7,8; 2:8). So, the vocabulary of the Blessed Hope provides no basis whatsoever for a two-phase distinction of Christ’s return. Its terms are used interchangeably to describe a single, individual, posttribulational advent of Christ to bring salvation to believers and retribution to unbelievers. 2. The New Testament contains no trace of a secret invisible, instantaneous rapture of the church. In fact, 1 Thessalonians 4:15-17, which gives the most famous description of the Second Advent, suggests the very opposite. It speaks of the Lord descending “from heaven, with a loud command, with the voice of the archangel, and with the trumpet call of God,” and says “the dead in Christ will rise first” and together with the living saints will be “caught up” (raptured) to meet the Lord in the air. The “cry,” the “call,” “the trumpet,” and the great gathering of living and resurrected saints hardly suggest a secret, invisible, and instantaneous event. On the contrary, this may well be the noisiest passage in the Bible. And the references to a trumpet call in the parallel passages of Matthew 24:31 and 1 Corinthians 15:52 corroborate the public nature of the Second Advent. No trace of a secret rapture can be found in any of these passages. 3. The Bible’s tribulation passages offer no support for a pretribulational rapture of the church. In His Olivet discourse, Jesus spoke of the great tribulation that will immediately precede His coming, promising that “’ for the sake of the elect those days will be shortened. “’ (Matt 24: 21, 22, 29). To argue that the “elect are only Jewish believers and not members of the church, means to ignore that Christ was addressing His apostles, who represent not only national Israel but the church at large. This is confirmed by the fact that both Mark and Luke, who wrote their gospels for the Gentile church, report the same discourse. (Mark 13; Luke 21). Noteworthy also is the striking similarity between Christ’s description of the rapture of the church in Matthew 24:30, 31 and that of Paul in 1 Thessalonians 4:16, 17. Both passages mention the descent of the Lord, the sounding of the trumpet, the gathering of God’s people. Yet, pretribulationists say the 1 Thessalonians passage describe the rapture prior to the tribulation but the passage in Matthew describes Christ’s second coming after the tribulation. However, the parallelism between the two passages clearly indicates they are describing a single event, not two different ones. So the rapture of the church does not precede the great tribulation. Rather, it follows that event. Christ never promised His church a pretribulation rapture out of this world. Rather, He promised protection in the midst of tribulation. In His petition to His Father, He said, “’My prayer is not that you take them out of the world but that you protect them from the evil one.”’ (John 17:15) If the church were absent from this earth during the hour of testing, there would be no necessity of divine protection. 4. Lastly, both Paul and the book of Revelation negate the notion of a secret pretribulational rapture. In his admonitions to the Thessalonians, Paul explained that believers will be granted “rest” from the tribulation of this present age “when the Lord Jesus is revealed from heaven in blazing fire with His powerful angels. He will punish those who do not know God” (2 Thes 1:7,8). In other words, believers will not experience deliverance from the sufferings of this age through a pretribulational secret rapture but at the postribulational coming of Christ. Apparently, the Thessalonians believed that the day of the Lord had already come. To refute this misconception, Paul cited two major events that must occur before the coming of the Lord— namely, the rebellion and the appearance of the “man of lawlessness,” who will persecute God’s people. If Paul expected the church to be raptured away from this world before the tribulation caused by the appearance of the antichrist, he would hardly have taught that believers would see such an event before the coming of the Lord. The book of Revelation treats in greater detail than any other book of the New Testament the events associated with the great tribulation, events such as the appearance of the beast that persecutes the saints of God and the pouring out of the seven last plagues (Rev 8–16). Though John describes in great detail these tribulational events, he never suggests a pretribulational secret coming of Christ to rapture the church away. This is all the more surprising in view of John’s express purpose to instruct the churches regarding final events. In fact, John explicitly mentions a countless multitude of believers who will pass through the great tribulation: “’ These are they who have come out of the great tribulation; they have washed their robes and made them white in the blood of the Lamb.”’ (Rev 7:14). Pretribulationists argue that these believers are all of the Jewish race, allegedly because during the events described in Revelation 4 to 19 the church is no longer on Earth but in heaven. This reasoning is discredited, first of all, by the fact that nowhere does John differentiate between Jewish and Gentile tribulation saints. To the contrary, John explicitly states that the victorious tribulation believers come “from every nation, tribe, people and language.” (Rev 7:9). This phase occurs repeatedly in revelation to designate every member of the human family. (Rev 5:9; 10:11; 13:7; 14:6). In light of the reasons discussed above, we conclude that the popular teaching of a secret coming of Christ to rapture the church before the final tribulation is devoid of any biblical support. Such a belief makes God guilty of giving preferential treatment to the church by removing it from the earth while leaving believing Jews to suffer the final tribulation. Scripture, however, teaches that Christ second coming is a single event that occurs after the great tribulation and will be experienced by believers of all ages and all races. This is the Blessed Hope that unites “every nation, tribe, language and people”’ (Rev 14:6).